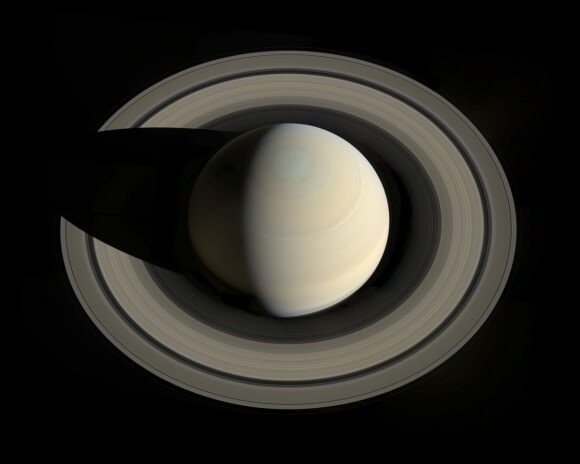 “Saturn’s majestic, iconic rings define the planet, but where did they come from? What a weak, obfuscating dodge. Is he implying that the rings of Saturn by and large are the result of a hodge-podge of unrelated events? Preposterous. 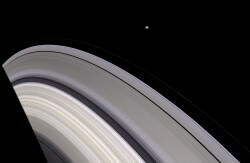 Kevin Grazier: “If Saturn’s rings are old, a moon could have gotten too close to Saturn and been pulled apart by tidal stresses. Its incredible to me that not once in this article is it ever even mentioned that the rings are almost entirely *water ice* in chunks ranging all the way up to the size of a house. The above sentence makes no sense. Is the article asking *us* where the rings came from? All of the scientist interviewed admitted they don’t have a clue. OK, I get the point being made now. At any rate, Europa — full of water; Enceladus — full of water. 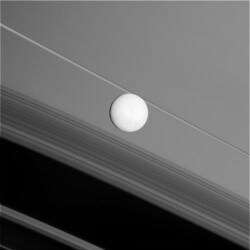 Saturn’s rings — full of water. But I thought the outer solar system was where water naturally formed, so what’s the mystery.